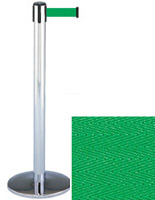 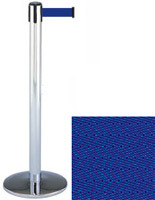 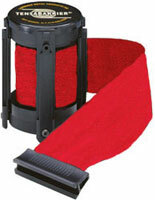 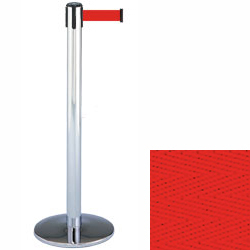 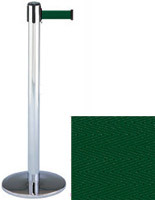 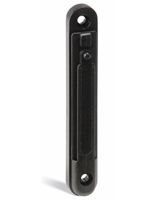 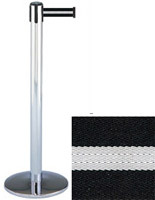 Stanchion - Chrome stantion post with an extra long 13 foot retractable, red belt. Perfect in lobbies, waiting areas, airports, food lines, registration offices. 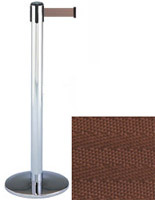 The post measures 38" tall, 13 1/2" diameter base, and weighs 24 lbs.